1) Compromise and Release: A compromise and release in a Workers Compensation case settles the case forever in exchange for a lump sum settlement. Once the compromise and release documents are approved by the local Workers Compensation Judge, the injured worker is responsible for all future medical care and can no longer seek benefits for their injury through Workers Compensation. This is a popular form of settlement because the injured worker gets a lump sum of money (usually paid within 30 days of settlement) and that amount of money is much larger than leaving the claim open for medical treatment alone. If in the event the injured worker has other means to get medical treatment paid for, either through medical, medicare or private health insurance through a spouse, a compromise and release is usually the most attractive option. This is because the medical benefits provided through Workers Compensation insurance companies are usually substandard compared to other public and private health insurance plans. Talk to a Chino Workers Compensation Attorney Lawyer to learn more about how and why Workers Compensation insurance plans are generally not as good as other public and private health insurance plans. 2) Stipulation With Request for Award: This is an alternative to the compromise and release avenue of closing a Workers Compensation Claim. The parties (the injured worker and the insurance company) enter into an agreement that the injured worker was injured on the job and agree upon the nature, extant and future medical care for the injury. Under this form of closure, the injured worker is paid out money in the form of permanent disability over a period of time (as opposed to a lump sum settlement that comes in the compromise and release form of settlement). In addition to permanent disability money, the injured worker has the right to seek future medical care for their injury to be paid completely by the Workers Compensation insurance company within the scope of the agreed future medical care laid out in the agreement. Many workers choose this form of settlement, but most do not. This is because oftentimes the care provided under the comp policy is substandard or the injured worker has access to other coverage, or both. 3) Trial: If the parties cannot agree to either of the above two settlement forms, the case will be submitted to a Workers Compensation Judge to decide the case. 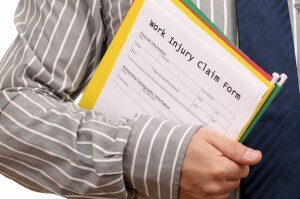 If the judge finds in favor of the injured worker, the injured worker has one of two options. Either settle the case after trial for a lump sum of money through a compromise and release or take the permanent disability money awarded by the judge and seek all future medical care through the Workers Compensation insurance company within the scope of medical treatment the judge awards the injured worker. This form of resolution of a Workers Compensation case is practically the same as Stipulation With Request for Award, except as opposed to the Stipulation where the parties agreed on the value of the case, the judge had to be brought in to resolve it. There are many factors that must be considered before an injured worker makes a decision on how to settle their Workers Compensation claim. Many times, those factors change as the case evolves. It is always a good idea to understand these factors and How Workers Compensation Claims Are Settled in California going into a case. It reduces the injured worker’s stress levels by helping them understand their own case and what they can expect to achieve with it. To discuss your case with Attorney Alexander Napolin, call Napolin Law Firm at 909-325-6032, or visit his website at www.napolinlaw.com for more information or to submit a form to have your case evaluated.